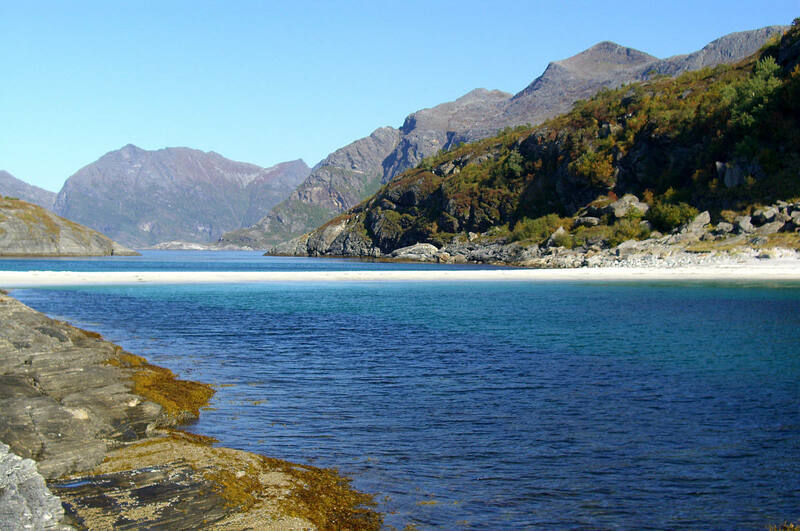 Hovdsundet Beach is the highlight of this hike. Getting there is half the fun. Photo: Christian Strømhaug. Hovdsundet: It’s hard to believe that Hovdsundet Beach and Auvika Beach are north of the Arctic Circle. 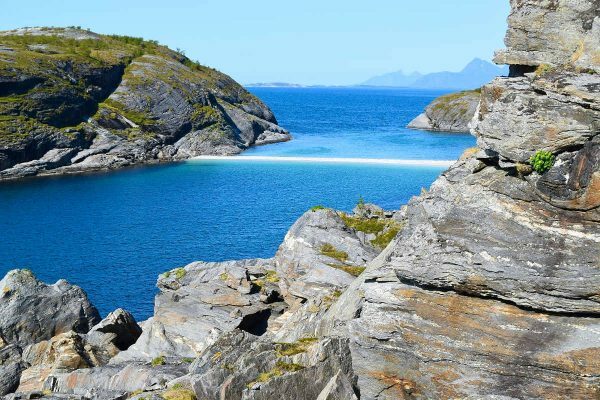 The highlight of this challenging coastal hike is the secluded beach Hovdsundet, one of the most beautiful and remote beaches in Bodø. 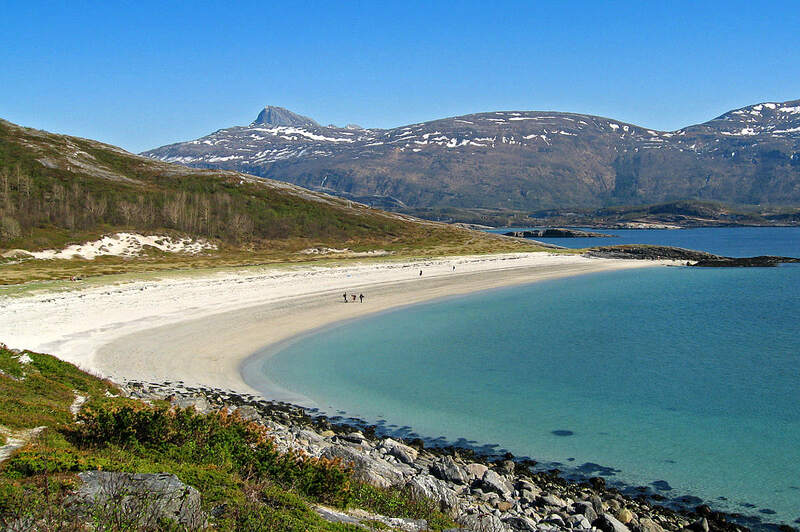 It comes as no surprise that this beach has become a quite popular Instagram spot in Bodø. With effort comes privacy: If you’re an experienced hiker and prefer hikes off the beaten track with rugged terrain, rocks and beaches, this is the hike for you! The hike is challenging, but your effort is rewarded with privacy. The upside is you won’t meet many others on your way. 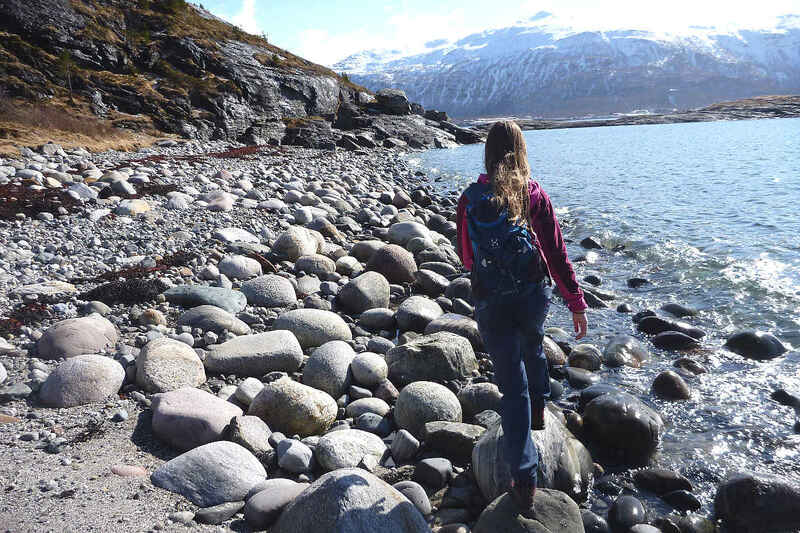 Hiking to Hovdsundet offers a diversity of terrain such as this pebble beach. Photo: Nordland Adventures. Challenging: The hike to Hovdsundet Beach is perfect for those who are comfortable and experienced with backcountry hiking. This route may prove challenging for novices. 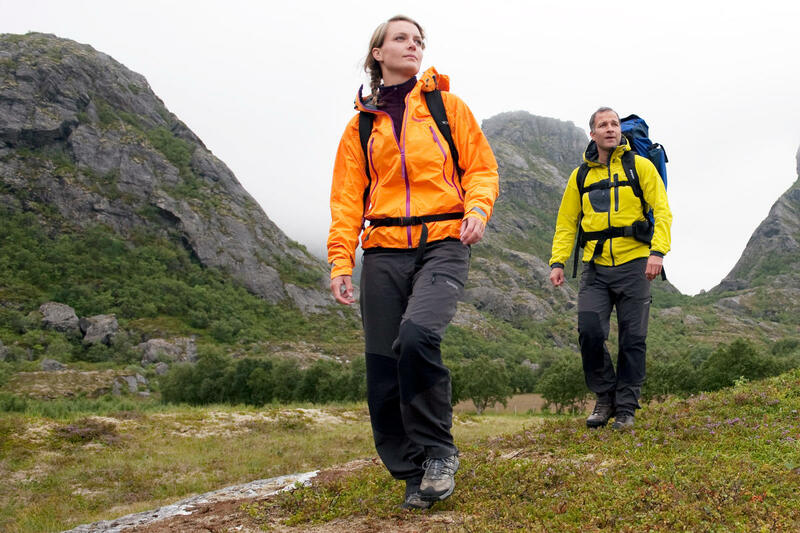 Be prepared to use your entire body as the trail ascends and descends over cliffs and rocky outcrops. Hovden round trip? 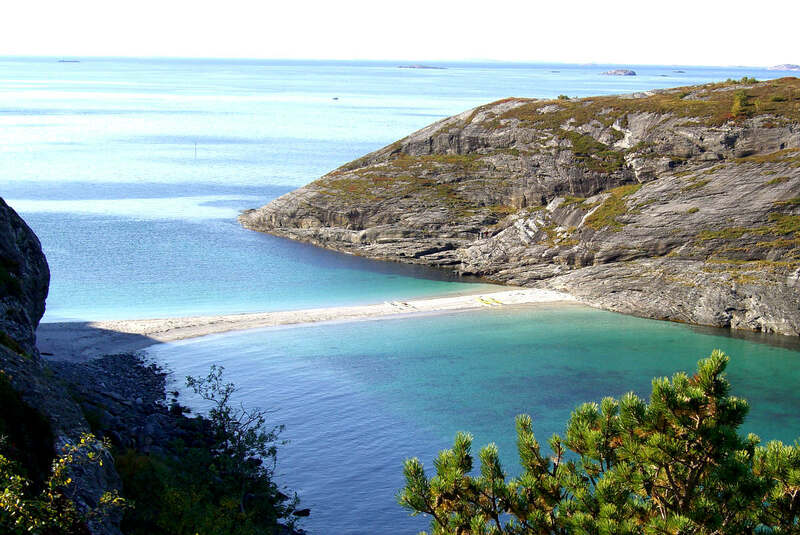 Hovdsundet Beach is located at the tip of a peninsula. The normal route (easiest) follows the southern half of the peninsula in both directions, which is not as challenging as the northern part. If you convince us that you’re an experienced hiker, we might choose to go all in and plan for the complete round trip. Moderate. Please see details below. A total of 6 - 8 hours, including transport from/to downtown Bodø. Min: 2 pers. Available for groups. Please see details below. May - September. May be possible in wintertime, weather permitting. Is this trip for me? This trip is designed for experienced hikers. You must have previous hiking experience and be able to overcome rocks (no climbing though) and rugged and uneven terrain. Be prepared to use your entire body. There is minor exposure in a few places, so good balance and coordination skills are required. Grading: This trip is graded as Challenging – Red grading – not so much for the length or elevation gain, but more for the challenging terrain. Terrain: Sandy beaches, pebble beaches, coastal cliffs, rocks and sparse pine forests. Most of the route has no rock cairns or trail markers. Total length: The hike itself is approx. 7 km round trip (same length for the round trip). The mileage from Bodø by car (or minibus) is 25 km. Elevation: Most of the hike will follow the coastline (with some ups and downs). The highest point is no more than 75 metres above sea level. Good footwear (hiking boots or sturdy running shoes) is a must. A knowledgeable, English speaking guide with a sense of humour and passion for this area. Transport from town centre to starting point and back to town after trip is included in the tour price. The typical group size for our trips range from 2 to 15. We prefer to keep the group size as small as possible for these trips, which improves the experience for the participants and guide alike. NB: We don’t mix private group trips with solo travellers. It’s possible to hike all the way to Hovdsundet Beach on cloudy days with light rain. Even on a moody day, this hike will offer great views and experiences. Please note: We only recommend the complete round trip (hiking around the entire peninsula) on fine days. If the weather gets too bad, we will consider choosing alternative experiences. Need More Info About Coastal Hike to Hovdsundet in Bodø?